You are here: Home / Search for "luxury homes for sale"
Looking for Charlotte NC Luxury Homes for Sale? 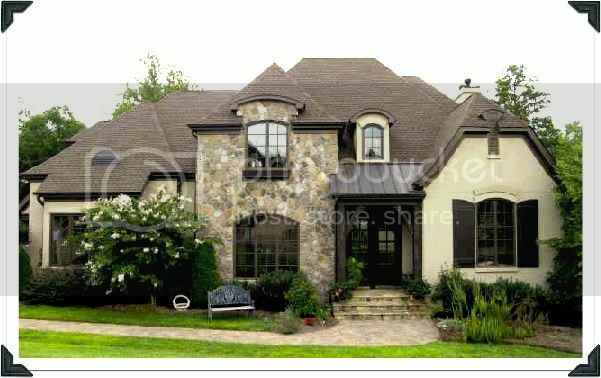 Shopping for Charlotte NC Luxury Homes For Sale? If you are searching for Charlotte NC luxury homes for sale, there are a lot of things to take into consideration. You have worked hard for your money and your home investment should reflect your accomplishments. There are a lot of advantages to hiring the right real estate professional. Here are ways that our services can be of benefit. If you are in the market for an upscale property, you may wish to check online for the best listings. However, many upscale homes may not be listed publicly. This is where a real estate professional can be of great assistance. Our professionals have access to many listings that most people cannot easily access. We will work with you during the entire home shopping and buying process. All you need to do is give us a call; we’d love to discuss your plans as we’re here to help you every step of the way. If you are new to the area, shopping for Charlotte luxury homes can be an oasis in a sea of uncertainty. A luxury agent knows and understands all the neighborhoods in the greater Charlotte area. Educating you on the local schools and many other important aspects of each section of the city is what you expect–and what we provide. This removes a great deal of the guesswork from shopping for the perfect upscale property in the perfect upscale neighborhood. When you hire a professional Realtor®, you have someone that can assist with negotiations. Our goal is to get you the best deal on your new house possible. We know and understand your specific needs and wants. We also know your budget so, we’re not interested in ‘up-selling’ you a Charlotte luxury home that pushes you beyond your proposed budget. Looking for someone with experience an education in the luxury home buying process? We are trained in these matters and deals with them on a daily basis. We also help you find financing, so you can get the best deal on your home mortgage. Shopping for upscale properties can be a little more difficult than for other properties. It is important to have someone on your side who will take care of all the necessary arrangements and details. From start to finish, we will show you all the available Charlotte NC luxury homes for sale that meet your specifications. All of the hard work is done on your behalf to provide you a seamless dream home purchase! Thinking of selling your Charlotte area luxury home? Let’s talk! I think my track record of selling for top dollar, in the shortest amount of time will speak for itself. Charlotte Luxury Home For Sale in Providence Springs! So, you’ve just been waiting for that perfect Charlotte home for sale in popular Providence Springs? This may just be the ONE! This 5-bedroom full-brick home on one of Providence Springs most popular cul-de-sacs will soon be listed! Exquisite home with wonderful appointments, fantastic upgrades and amazing gourmet kitchen with more cabinets than you’ve seen in a Charlotte home for sale in a very long time! Don’t miss this stunning home in popular Charlotte neighborhood, Providence Springs – terrific location and award-winning school assignments, including Myers Park High School! Contact us for more details! In the meantime, view the full video of this spectacular Charlotte home for sale in Providence Springs! Only 13 miles from Uptown Charlotte, tucked away on heavily wooded lots, you’ll find The Forest. Stunning custom homes built by some of Charlotte’s finest builders, The Forest offers variety and style of architecture from French Provincial to traditional and European homes with efficient floor plans and fabulous kitchens. Ranging in square footage from 3,500 to 10,000, the homes in The Forest offer an upscale lifestyle in a sanctuary-like setting. Located just off of Highway 51 in Matthews, near the Arboretum, The Forest boasts award-winning school assignments of Elizabeth Lane Elementary School, South Charlotte Middle School and Providence High School. If you’re looking for luxury lifestyle in South Charlotte, contact us for your tour of The Forest today.